The building material concrete has fascinated us for more than 2000 years. The Romans laid the foundation for today's concrete technology with the Opus Caementitium. Many people can build with concrete - but do not write! 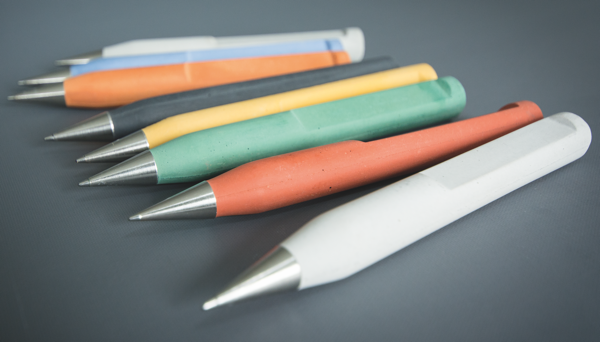 With the Colored Concrete Pens in currently 8 different color variants (light grey, grey, black, red, yellow, orange, green and blue) you can now hold this special building material in your hands every day. The pens are completely colored. High-quality color pigments are used to achieve a high color intensity. 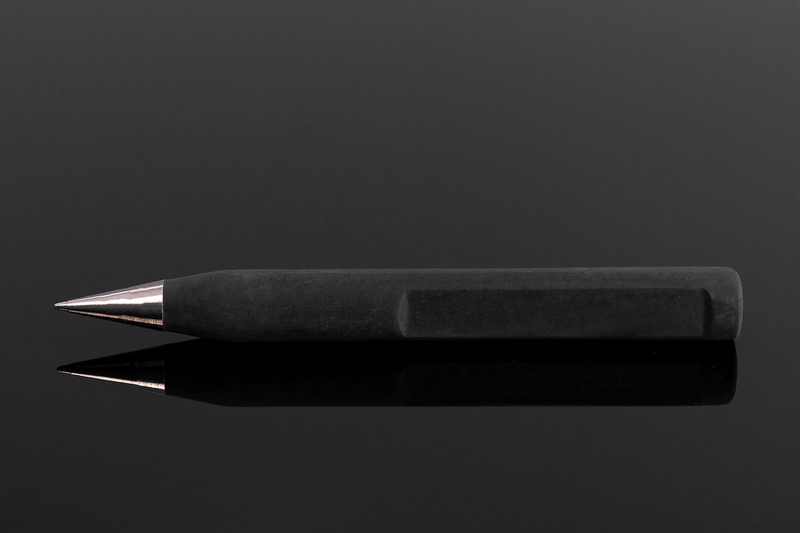 The surface finish in exposed concrete quality perfects this noble pen. The authentic feel and the great design will convince you! The Colored Concrete Pens are a real eye-catcher! Whether classic in concrete grey, or in color - a must for anyone who works with concrete. 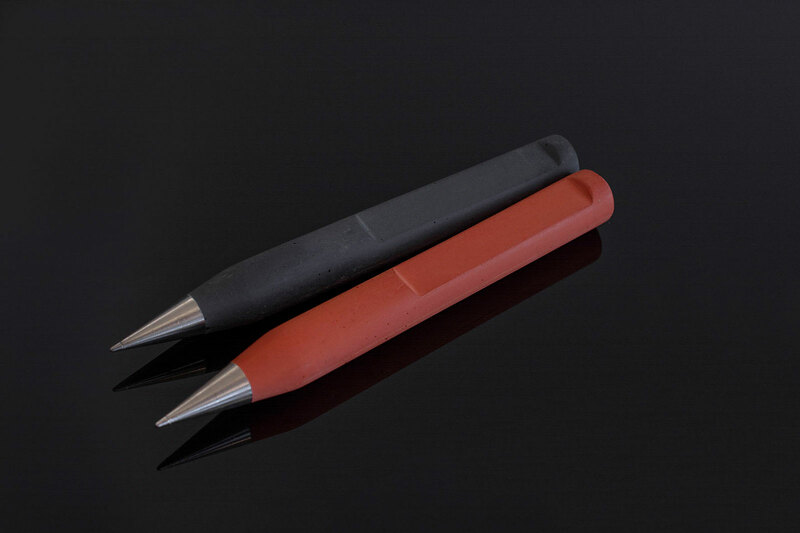 Whether for anniversaries, birthdays or at Christmas, together with the personalized laser engraving the Concrete Pens combine concrete with art. 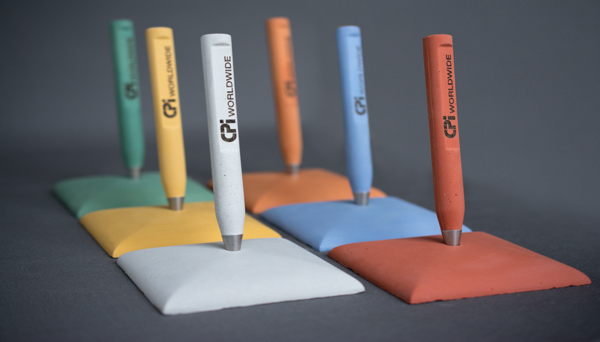 The Colored Concrete Pen Set consists of a concrete pen, a pen holder - of course concrete - and a custom-made gift box with a recess for your business card. The set is a high quality and innovative customer gift!